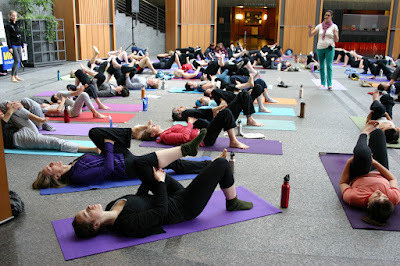 We had a beautiful Sunday morning for our Power of Movement event at Kitchener City Hall! We practiced yoga, fundraised for Arthritis and Autoimmune research, built awareness, and most of all, celebrated community. We collectively raised $13,317.00 CAD. QSY student Hang Tran was one of the top four fundraisers in the country, and her team, Savasana Warriors, was the very top team in Canada. Congratulations to Hang and her team! Check out the article in The Record about the event, see more photos, and a blog post.